Rosemary Gresham, orphaned as a child and a "street rat," joined with 11 other homeless kids and found a way to survive. 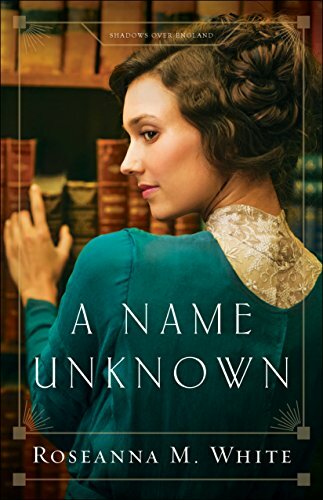 When a mysterious stranger offers her a huge amount of money to discover proof an individual was a traitor to Great Britain, she jumps at the opportunity. Peter Holstein, a man who befriended King George, is looked upon with suspicion due to an impending war and his German heritage. He must find documents attesting to his British citizenship and loyalty to the crown. 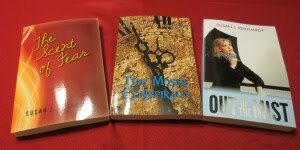 When Rosemary shows up at his door and applies for the job of librarian, he senses she is God's answer to his prayers. He's also a renowned novelist, writing under a pen name. How will these two people, working against each other, ultimately discover common ground and a future in a world torn apart by war? I have to say that Ms. White comes up with some amazing storylines. She highlights the horrible conditions orphans suffered through in England during the Edwardian period. Although her character is a master thief, she has a heart that wants to provide for her younger charges. Peter, as a strong Christian, provides the spiritual thread and answers many of Rosemary's questions. While he is supposed to be only several years older than her, I had to keep reminding myself that he wasn't an old man. Perhaps his wisdom contributed to that impression. As a writer myself, I'm fascinated when a character is an author. His methods for crafting a story resonated with me. I chuckled at how he took observances from real life and incorporated them into his manuscript. Roseanna M. White has produced another winner. This is the first book of her Shadows Over England Series. I can't wait to read the other books. Disclaimer: Neither the author nor the publisher paid me for a favorable review. I purchased this book, and all opinions expressed are mine and mine alone. Writers: Do you observe the various characteristics of people and use that knowledge to craft your characters? Please share. Readers: Do you like stories that question the status quo and make you think? Please share your thoughts.